As part of an Energy Study, SES uncovered a big opportunity to reduce the gas consumption of VGH’s Energy Centre – which provides high pressure steam to the entire facility. Our solution was to recover waste heat from the chilled water plant, convert the waste heat to medium-grade with a new heat recovery chiller and inject the waste heat into the hydronic heating loop to offset the steam load previously used to heat the water. 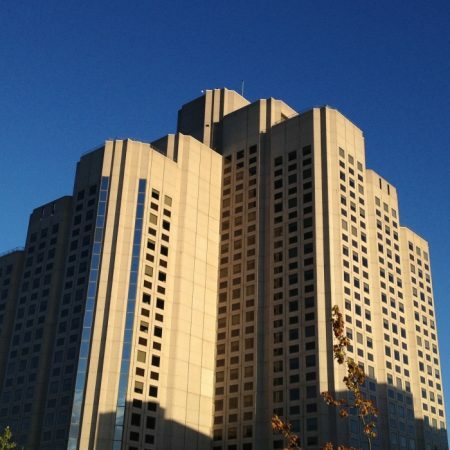 This project is estimated to reduce VGH’s entire gas load by 10%, saving almost 2,000 tonnes of annual GHG emissions: all with a payback of 6.2 years. SES recently completed the detailed design for the project which is scheduled to be operational in early 2017. SES designed an innovative system to convert Ridge Meadows’ standard efficiency boiler plant into a high efficiency plant. The redesigned system heats high temperature water loads first, then flows in series to systems requiring progressively lower temperatures before returning to the boiler and, in the final stage, is used to preheat incoming domestic cold water. This primary/series loop configuration allows the right water temperature water to meet several systems requirements while allowing overall return water temperature to be low enough to optimize condensing boiler performance. The work was completed in the boiler room with minimal impact to patients and staff despite complicated piping changes. From 2013 to 2015, SES studied and implemented controls upgrades at five healthcare facilities across Vancouver Island. Updated controls strategies ranged from Operating Room Scheduling, Demand Controlled Ventilation to Zone Control Upgrades. Following a year of observation and coaching, we’re happy to report a 1-year payback on VIHA’s $250,000 investment. Combined, the facilities have saved over 230,000 kWh of electricity and 35,000 GJ of natural gas. 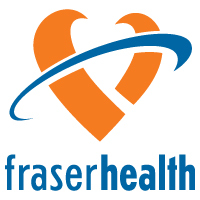 Fraser Health is just one of the fantastic Health Authorities that we work with. We have assisted them with Retro Commissioning, Energy Audits, Boiler upgrades, HVAC redesign, DDC upgrades and the ongoing management of energy and HVAC for their various hospitals and Extended Health Care Facilities. 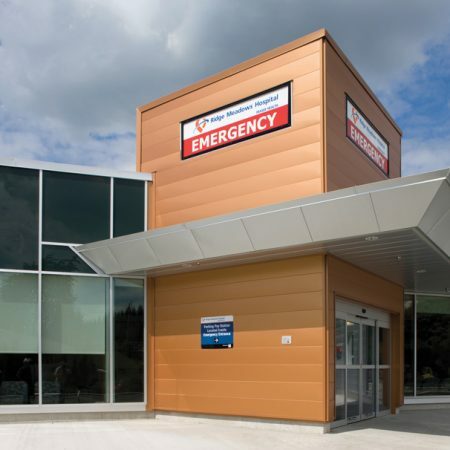 With Fraser Health, our strong relationships with Energy Management, Facilities, Operations, and contracting staff have resulted in the completion of several successful projects.